The Gist: On the grim, gloomy streets of 1896 New York, a child murderer is on the loose. Targeting only boy prostitutes from the city’s brothels, this monstrous killer is seemingly unstoppable. 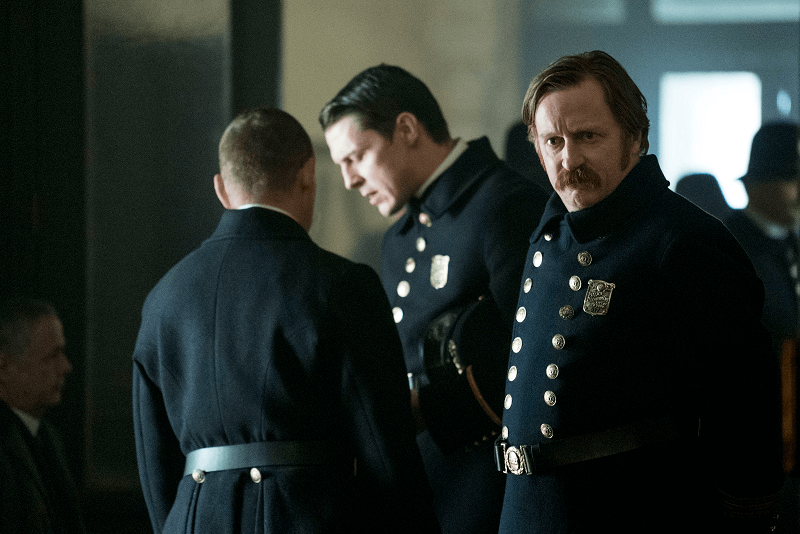 Newly-arrived police commissioner Teddy Roosevelt is also faced with a police force that’s either too corrupt, or too apathetic to effectively track them down. He turns to Dr. Laszlo Kreizler, better known by his occupation as a criminal psychologist - or in these pre-Freud days, an ‘alienist’ - to conduct the investigation in private. Assisted by a group consisting of a Jewish detective duo, an illustrator and Roosevelt’s own secretary, Kreizler slowly unveils the identity of a murderer whose origins stem from the violence of the Wild West - and whose menace now grips the entire city’s populace. Based on Caleb Carr’s best-selling novel of the same name. When has a good crime novel ever not been good television? Sherlock, Poirot, Dexter, Bones: those are but a few paperback-to-screen hits that can be named at the drop of a hat (or a body in the case of this genre). 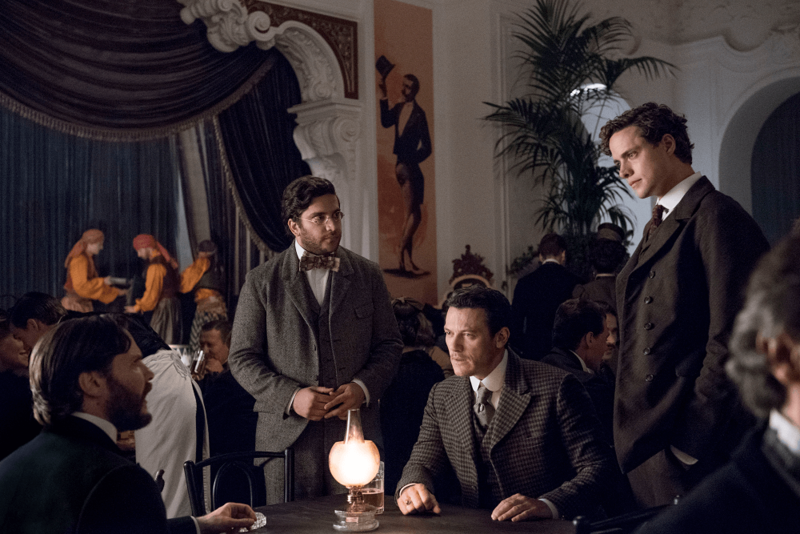 Being a TV adaptation of another literary murder classic, TNT’s The Alienist would therefore seem a certainty to join such illustrious company. It’s got esteemed screenwriters behind it (Cary Joji Fukunaga and Hossein Amini, among others). It’s got a great main cast, and it’s even got the author of the original novel, Caleb Carr, down as a consulting producer. How exactly it manages to be so predictable and bland is an even bigger mystery than the ones posed by this tale of a 19th-century psychiatrist tracking down a child killer. Evidence suggests it could just be a victim of its own hype; lavish cinema trailers and top-billed stars promising much but winding up insufficient to save it from a tepid, made-for-basic-cable delivery. Either way, the only thing that winds up ‘alien’ about The Alienist is an abject failure to be interesting. And given TNT’s pedigree for good crime dramas, that’s a crime not even the sharpest of scholarly minds could solve. At the very least, it all looks the part on initial impression. If Jack the Ripper’s London was a suitable backdrop for some cold-blooded killing, then late 1800s New York - a decadent hotbed of wealth at odds with the squalid, crime-ridden tenements of its working class - would surely be the place to top it. The Alienist’s depiction of the Big Apple does realise this much at least. Each episode opens with a minimal sequence of sinister, fluttering orchestra strings playing to a shrouded monochrome slideshow of all the vintage New York archetypes; a typically brooding Statue of Liberty obviously being top of that list. But if that wasn’t ominous enough, then there’s plenty more visual morbidity to come in the episodes: grisly slashed-open corpses, shadowy gaslit slums and plenty of derby hat-donning miscreants are all on hand to drum up the unease throughout this first season. It might also be quite clearly shot on the same street set over and over again, but it’s harsh to expect TNT to attempt HBO-level production here - even if it is their most expensive production yet. After all, it’s always prudent to save a bit for some decent acting talent, too - which might be this show’s one saving grace, aside from the suitably dreary atmospherics. 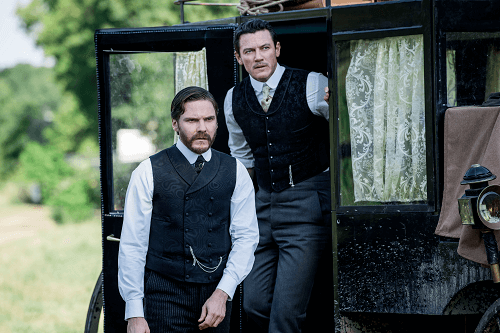 Daniel Bruhl is the actor taking the central role here as Dr. Laszlo Kreizler, the ‘alienist’ of the title called upon to track down a serial killer with a fetish for slaughtering the young boys working the Lower East Side’s seediest brothels. In a time before psychiatry was even a word, Kreizler is a doctor on the fringe end of medicine - the end that cynics would suggest to be associated with quackery at best, and con artistry at worst. Pensive and passionate in the dedication to his craft however, he’s a man not only driven by bringing a killer to justice, but also a burning desire to understand why they kill - a difficult thing to ascertain in a time when the study of psychology was widely regarded as nonsense. Carr’s original blueprint for the character was already good enough on its own to translate him into a great main character for a detective drama. But Bruhl’s talents for portraying these kinds of cerebral figures make this role tailor-made. He lends Kreizler the kind of quiet command and dramatic energy that keeps him engaging when everything else isn’t. 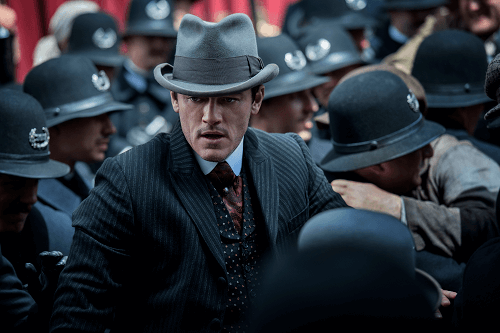 The flaws in The Alienist’s plot do swiftly become apparent, but at the very least, Bruhl is not at fault for them - a non-culpability that’s also shared by the fellow headliners that share screen time with him. Joining him in his investigation are a couple of equally solid names: Luke Evans of The Hobbit and Fast and Furious renown, and Dakota Fanning in her first major screen role for some time. Evans plays New York Times illustrator John Schuyler Moore, a man called in to assist Kreizler with sketches of the killer’s victims that may reveal some kind of habitual clue. Fanning meanwhile plays the quietly prominent Sara Howard, Commissioner Roosevelt’s own secretary and the first woman to serve for the NYPD - a challenging place for a young, independent women’s lib idealist like herself. As Kreizler’s fellow investigators, the two do offer some interesting contrasts. John’s a gambler, drinker and a typical man-about-town; Sara’s analytical mind and calm assertiveness run practically counter to that. But the pair do share Kreizler’s own desire for justice, and an equal willingness to go to all lengths necessary to ensure it’s delivered. Fanning certainly settles into her character quickly, while Evans needs to shake off a couple of uncertain early episodes to deliver John with the kind of amusing hot-air bluster reminiscent of leading men from Hollywood’s Golden Age. They do gel and are both great to watch in their own ways, and together their chemistry alongside Bruhl’s Kreizler often results in the show’s better moments. 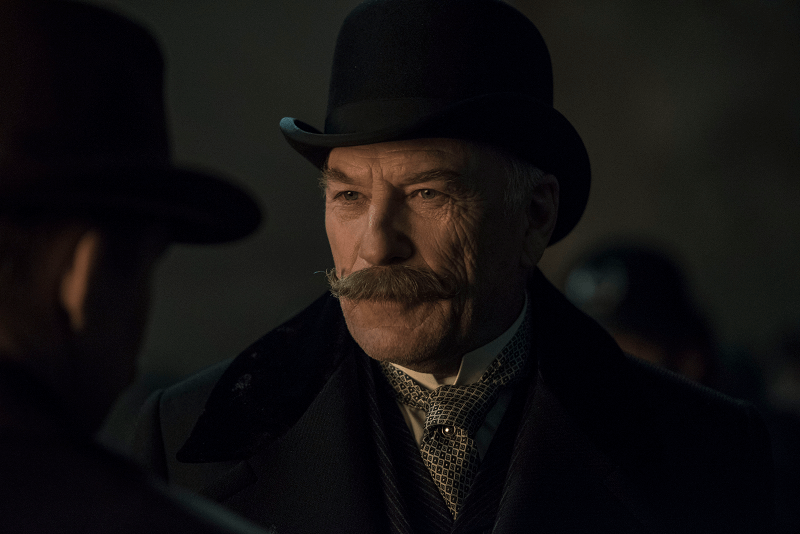 Unfortunately, these ‘better moments’ aren’t enough to counter The Alienist’s weaknesses, which lie in almost everything else. A strong first episode highlights the promise of it all - murder investigators from original backgrounds, an unfathomable monster figure for a killer and a well-realized rough n’ tumble New York for it all to unwind across. But the main failure lies in how this unwinding occurs. The Alienist does not reveal how it solves its mystery - it merely tells it. Its shocks lack punch and its killer is largely left off-screen, with the clues of their identity ending up divulged and analysed without any real drama or hope of twisting the plot - robbing them of their menace. Breakthroughs that feel important are promptly derailed by revelations completely out of left field. Little reason is given why or how such breakthroughs emerge, and they never feel like the moments of deductive genius they’re supposed to be. 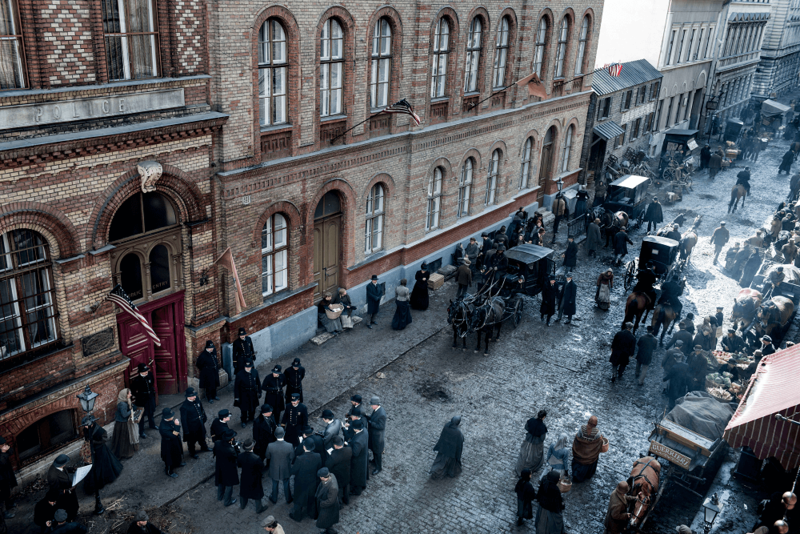 For all the work put into building a believable setting, The Alienist’s procession-style storytelling leaves it crucially lacking in the kind of ambiguity needed to keep viewers second-guessing. It’s essentially a detective drama that doesn’t understand what it means to be a detective drama - and it feels crushingly hollow for it. A secondary side-plot involving corrupt elements of the New York police trying to keep Kreizler and his team from unmasking New York’s boy killer plays out in much the same fashion - initially interesting, but ultimately peripheral. Ted Levine does nonetheless put in a great performance as Thomas Byrnes, the former NYPD commissioner pulling strings to keep influence over the city’s law enforcement. His equally corrupt and loyal servant, Detective Sergeant Connor (David Wilmot), also makes for a regular antagonist in obfuscating the investigation. Ultimately though, their reasons for doing so aren’t particularly deep, extending to little more than an insistence that press focus on the case will spark an uprising (given all the victims come from poor migrant families), and that the ‘real’ police should be handling this case anyway. Besides that, Wilmot’s Connor is less of a sharp-minded attack dog loyal to his former employer, and more of a bland, dim henchman. Like this plotline, he lacks genuine motive and nuance. And with the show’s cripplingly straightforward course already condemning it to the doldrums, both start to become increasingly irritating obstacles that keep the show from just getting to its end. Other supporting characters that pop up also don’t offer much - Brian Geraghty’s portrayal of Roosevelt is surprisingly lacking in real personality. The Isaacson Brothers, two Jewish detectives brought on board to serve as extra support for Kreizler’s investigation (played by Douglas Smith and Matthew Shear), merely serve as plot devices to drop clues whenever the show lulls and disappear whenever they see fit. 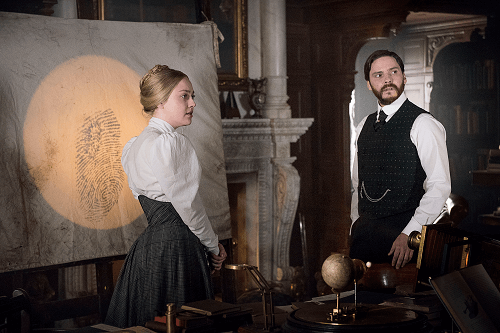 Aside from its narrative banality, The Alienist makes an equal habit of falling into an additional troublesome pattern: of trying to throw things together that either don’t meld, or aren’t given enough development time to offer cognitive depth. A distracting modern backing score only adds to the cacophony, and only the quality performance of the show’s main trio are enough to keep it all from becoming completely insipid. Ultimately though, not even their efforts are enough to stop The Alienist from failing in this duty to excite - and criminally for a detective show centered on psychology, to even make you think. 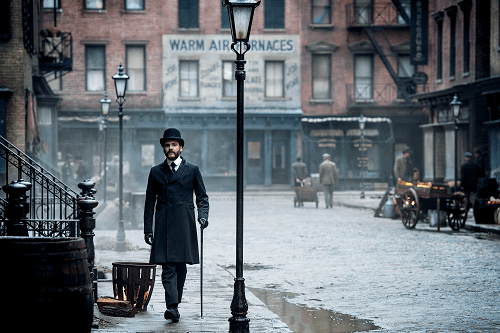 The Alienist is available for streaming on all major online broadcasters.